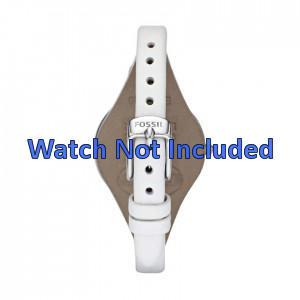 Fossil ES-2829 watchband Leather White - Order now! We would like to advise you, before you buy this product, to double check your current watch case number / model number. We discovered that many customers mix up this Fossil model with the comparable Fossil models ES-3262 and ES-3264. You will find your current watch case / model number on the back of your watch case. 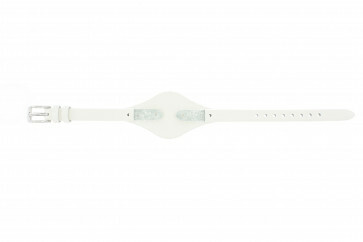 Fossil ES-2829 watch strap Leather White - This watch strap from the brand Fossil, model ES-2829 is made of 100% real leather and can be attached to your watch case by screws. Please (double) check your current watch case number! This watch strap from the brand Fossil, model ES-2829 is made of 100% real leather and can be attached to your watch case by screws. 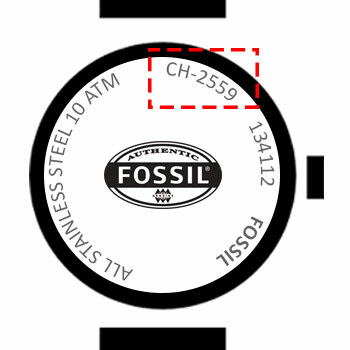 This watchband fits only on the watch model ES-2829 from Fossil because of its specific shape.